Bed bugs have become more common in the United States and worldwide over the last few years. University Housing takes several precautions to ensure our facilities are free of these pests. Every summer each mattress is inspected for bed bugs (including use a bed bug detecting dog) and we are confident that bed bugs are not present in our buildings prior to our annual August move in. There is always a chance that bed bugs will find their way into our building by hitching a ride on luggage, clothing, bedding or furniture. If bed bugs are detected in any University Housing room, our staff will respond immediately, and coordinate response with our pest control company. In addition to professional pest control, University Housing has procedures in place to ensure the situation can be controlled and handled. If bed bugs are found in personal furniture, University Housing may require cleaning or disposal of the affected furniture. If you suspect that there are bed bugs in your room, call your Service Desk immediately. If you have any questions regarding bed bugs, please contact Joseph Niswonger, Assistant Director of University Housing for Facilities at niswonge@uwm.edu. 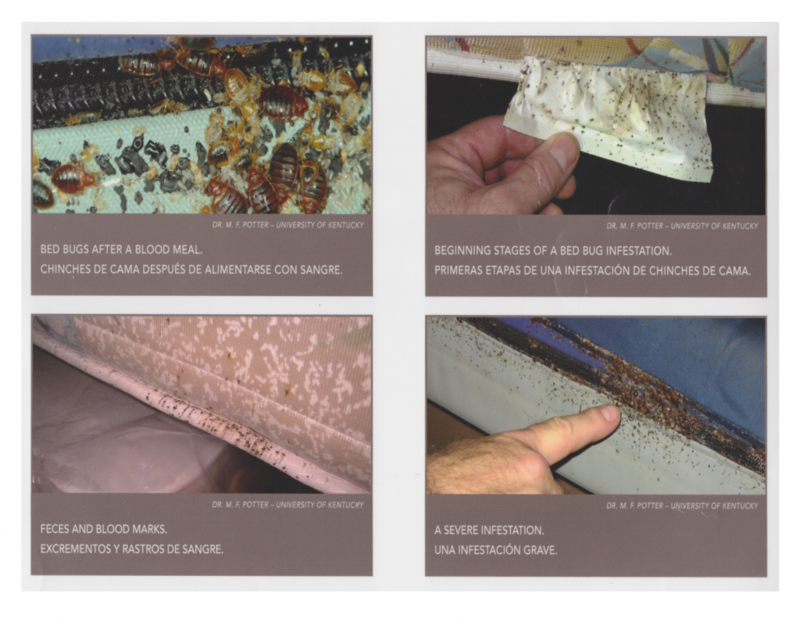 Check out this resource from the University of Minnesota-Twin Cities: http://www.bedbugs.umn.edu/sites/bedbugs.umn.edu/files/y2014m05d23_preventing_bed_bugs_from_entering_your_home.pdf. Do you think your room might have bed bugs? Here’s how you can find out. Bites on your body – bed bugs leave small bite marks, usually in a tight lines of multiple bites. They may itch, and look like other insect bites. If you think there are bed bugs in your room, call your Service Desk immediately. Launder all bedding, separately from other laundered items. University Housing will provide laundry card and detergent for these purposes. Bag and launder all clothing. University Housing will provide laundry card and detergent for these purposes.